No matter if it is large or small, highway or railroad, Milbocker & Sons, Inc. has the capability and experience needed to return any structure into compliance for its serviceable intention. 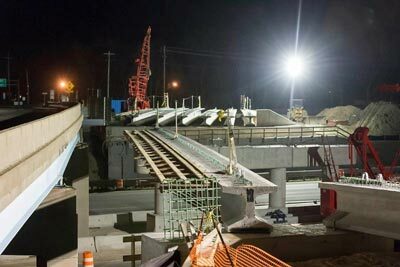 Milbocker & Sons, Inc. has built a reputation as one of the most dependable bridge rehabilitation contractors in Michigan. We dedicate the time, labor, and equipment to properly plan and execute the project quickly without compromising quality or integrity so we can get and keep our infrastructure up and running safely and smoothly again. For more information on Milbocker & Sons, Inc. professional bridge rehabilitation services, or to request a quote, contact us here or call us directly at (269) 673-2195.